The thriving health of any local music scene is dependent on the extraordinary hard work of artists showing great determination to plough on with their song writing, gigging and hoping one day to get the finance together to release an album. This often means songs become staples of live sets before they get the studio treatment. 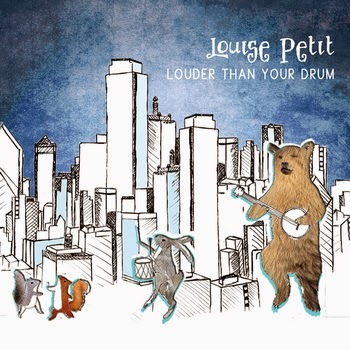 Just over a year ago, I covered a Louise Petit headline gig at the Kitchen Garden Café in Birmingham and it is good to report that a number of songs played that evening have surfaced on LOUDER THAN YOUR DRUM, her debut full length release. 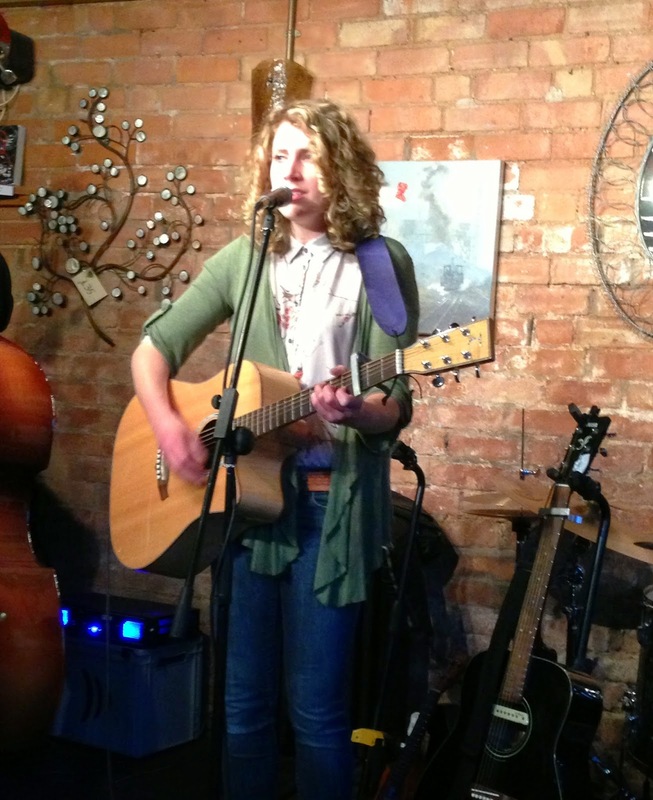 With her accomplished brand of acoustic folk alt-pop, Louise has been active on the Midlands live circuit for a few years now and the calm, composed and measured way she delivers her songs have made her a respected artist. For the recording of the new album, Louise was ably assisted by her two band sidekicks Russ Sargeant on bass and Tim Heymerdinger on percussion. Also producer Martin Atkinson was able to assist with the addition of extra musicians providing piano, viola and violin. This was topped by a choir being assembled for one of the album’s best tracks, the title number ‘Louder Than your Drum’. The album weighing in at a meaty 13 tracks and 50 minutes is a touch mellower than her previous EP release which brought her to my attention a couple of years ago. Tender tracks such as ‘Tree Song’ and ‘Away With The Day’ set the general tone which paints a more sophisticated side to Louise’s music. While the additional string input has added to this, there still remains the roots part of her music especially when the ukulele takes centre stage such as in another of the album’s finer moments, ‘Damn This Part of Me’. The song writing has immense depth to it and is very much a journey of experience. It is easy to bury yourself deep into the songs and this is best exemplified in ‘To The Sharks’ with its analogies and view on life. The rousing end to this track also adds to the appeal as well as being blessed by Louise’s near faultless vocals which adorn all 13 songs often supplemented by backing and harmony support. The completion of LOUDER THAN YOUR DRUM gives Louise a sturdier platform to progress her music career and she is already beginning to widen her gig net to promote the record. So why not pop along to her Bandcamp page and try before you buy with a variety of formats available. Hopefully one of her live shows can be attended in the future to check how she’s progressing and continue to support artists at the very heartbeat of your local music scene.